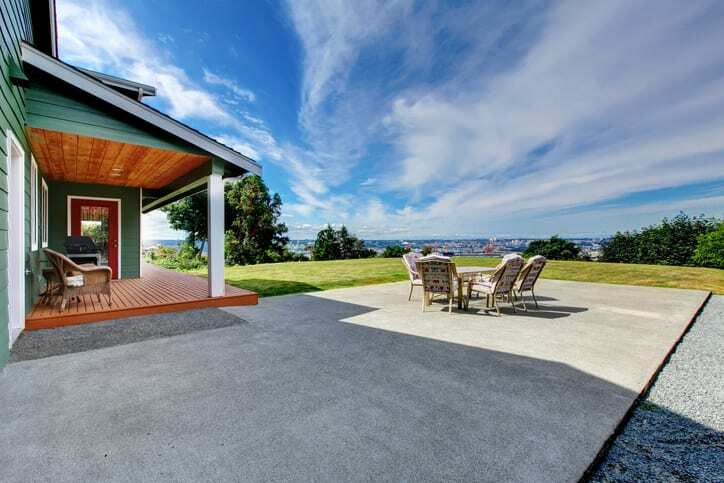 The heat, humidity, and intense sun of summer can affect a lot of things around your home, including your concrete. The best way to minimize hot weather damage to these surfaces is to keep your eyes peeled for problems. GW Brockelbank Concrete Contractors wants you to watch out for these three common summertime concrete problems. Shifting – Concrete shifts the soil underneath it moves. This is a problem in the summer because heavy rains cause the ground to expand. Concrete can also shift due to the hydrostatic pressure caused by moisture that builds up in the ground. Cracking – Many people notice that concrete cracks tend to appear in the summer. Cracks occur when the soil shrinks under your concrete. Cracking is unsightly and can lead to more extensive concrete damage. Heaving and settling – When the soil expands, shrinks, and is exposed to pressure, it can create concrete heaving and settling. This results in bumps and dips in your concrete that make your property look bad. This damage can be dangerious, too, since it creates a tripping hazard. Improperly laid concrete is often to blame for this problem. Your best bet is always to work with experienced concrete contractors. GW Brockelbank Concrete Contractors is the team to call in Charlotte, NC and Ballantyne, NC.